Tenneco announced that its popular Monroe “Shocktober” promotion is returning to participating repair shops and parts stores this month. From Sept. 1 through Sept. 30, consumers can receive up to an $80 Visa prepaid card when they purchase a qualifying set of two or four Monroe or Rancho ride-control products. 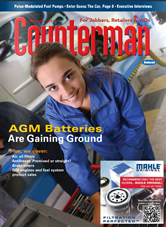 Products that qualify under the “Shocktober 2” promotion include certain Monroe OESpectrum and Reflex shocks and struts; Monroe Sensa-Trac shocks, struts and cartridges; Monroe Max-Air shocks; Monroe Gas-Magnum shocks; Monroe Load Adjusting shocks; Monroe Quick-Strut replacement assemblies; and Rancho RS5000, RS5000X, RS7000MT and RS9000XL series shocks. 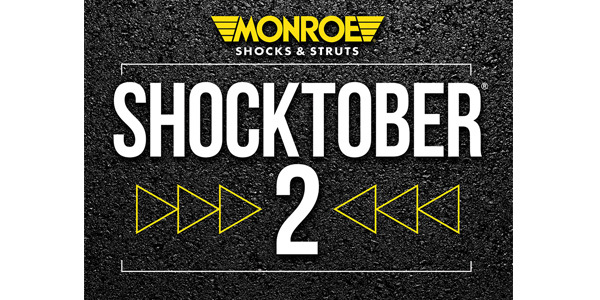 To learn which specific qualifying products are included in the “Shocktober 2” promotion, visit www.Monroe.com. Monroe “Shocktober 2” consumer promotion forms will be available at www.Monroe.com beginning Sept. 1. To qualify, submitted forms must be postmarked by Oct. 31, 2018. The “Shocktober 2” rebate does not include installation or labor costs and cannot be combined with any other Tenneco discount, offer or rebate. For more details about the Monroe Shocktober 2 promotion, contact your Monroe sales representative or parts provider or visit www.Monroe.com.